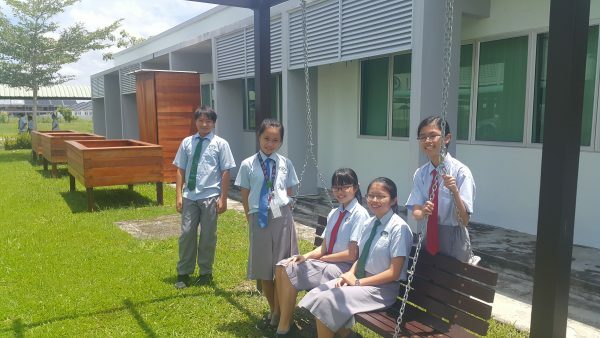 School: Tenby International School, Miri. 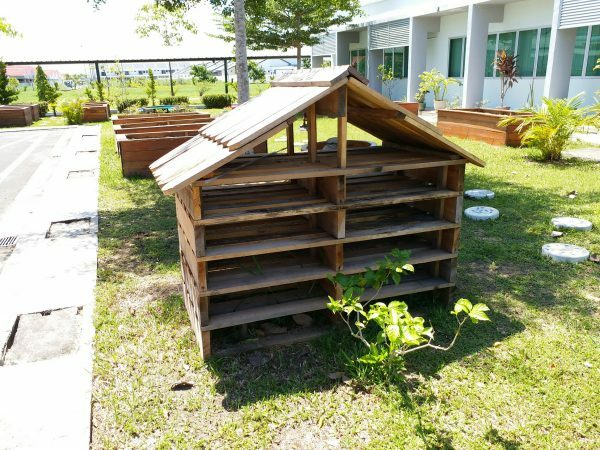 Roots and Shooters at Tenby International School in Miri have completed a beautiful eco- garden project at their school. We asked their teacher, Mr Martin Shelley about this wonderful Roots & Shoots Project. The Eco-Garden at Tenby Miri. When was this project initiated, and how long did it take from planning to completion? We devised the project in September 2016 and it was not fully completed until August 2017 – of course the Garden itself will never really be complete as we will constantly be changing the crops we grow in the planter boxes. Even now Year 10 students are designing and creating Birdhouses for the garden to try to encourage more wildlife into our school. How many students were involved, and what are their ages? 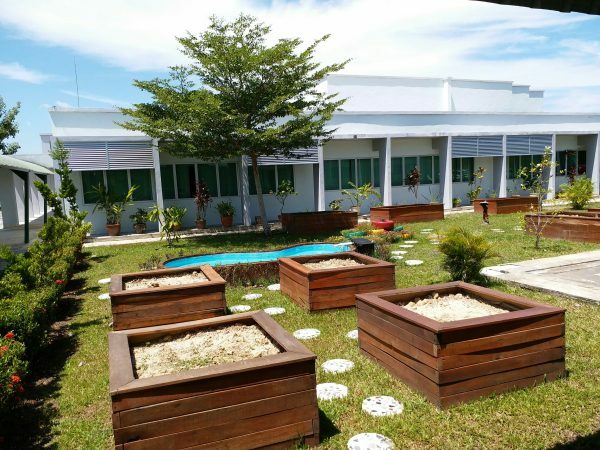 The whole Secondary school (100 students) were responsible for creating the recycled tile stepping stones, Primary students came up with the idea for the Bug Hotel, pond and bird bath and all students (Ages 4-16) will be involved in growing flowers, vegetables, herbs and fruit/berries in the different planter boxes. The basic design of the Garden was based on entries in a school-wide competition where students offered designs and ideas. The project was overseen by our Eco Committee made up largely of students. Creating a “Bug Hotel” out of old building materials? Cute AND clever! Why did the students choose this project, and how will this project benefit their school/community? 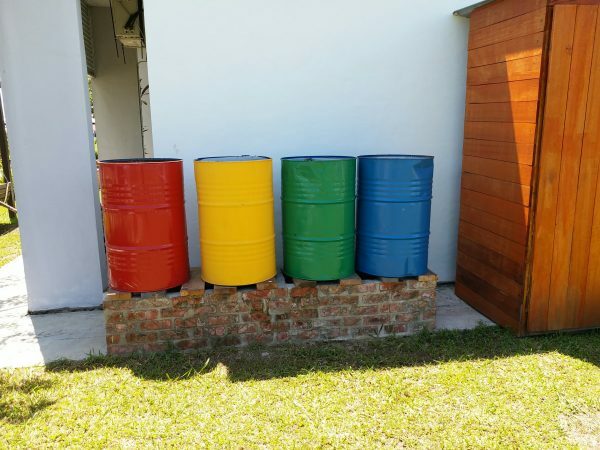 The project was seen as a way to educate our students about the process of growing plants, trying to become more sustainable as a school and ultimately reducing the impact we have on the environment – we have many other initiatives working alongside the garden – composting, rain water harvesting, recycling, reducing power/water consumption etc. We hope in the future to involve other schools in our project and hopefully even supply some vegetables and fruit to our school canteen! 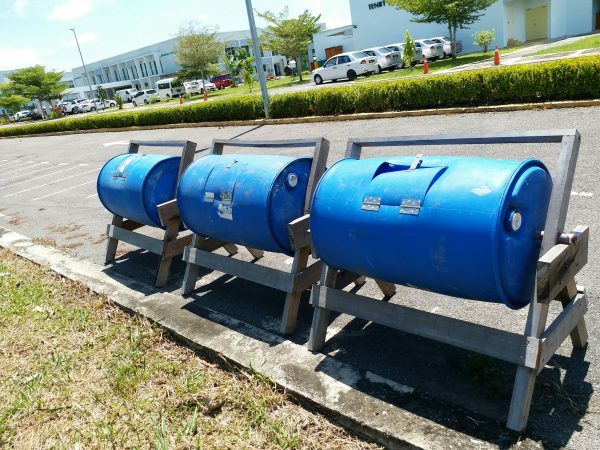 Dealing with organic waste creatively as old drums were transformed into rolling composters. Using old drums to collect rainwater for irrigation. 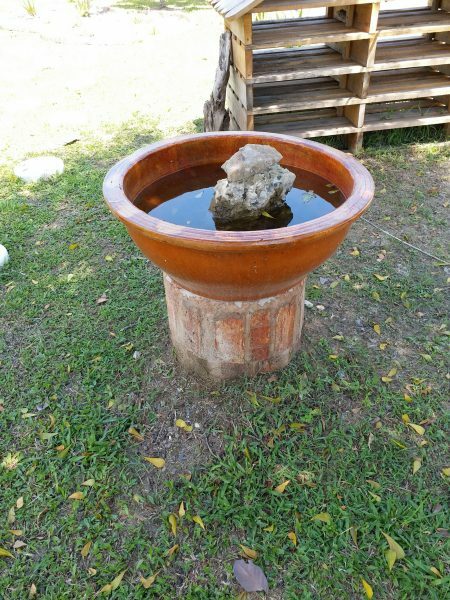 Primary students came up with the idea of upcycling old pots to make bird baths. Well done to the Roots and Shoots group at Tenby Miri!